Ian Tregillis is the author of the Milkweed Triptych trilogy, and is a contributor to George R. R. Martin’s Wild Cards series. 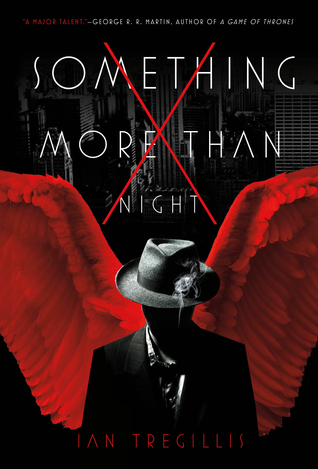 His latest book is Something More Than Night, a noir urban fantasy detective story of fallen angels and nightclub stigmatics. I interviewed him for the writing website Mythic Scribes, to answer questions on writing both historical fantasy and alternate history. Your work is described as either historical fantasy or alternate history. For readers who aren’t familiar with the differences between the two, could you explain how your work gains these descriptions? I imagine that people who know me, or my background, must feel confused when they hear me described as a writer of historically influenced novels. It surprises me, too, though I understand why it happens. I’m very conscious of the fact that I’m not a historian, and yet somehow I keep stumbling into writing series that mash fantasy with various historical elements. My first series, The Milkweed Triptych, mixed elements of fantasy (such as blood magic) with a historical setting (World War II and the Cold War). But it also featured (wildly) speculative explanations for certain historical events, and radically changed history in other places. 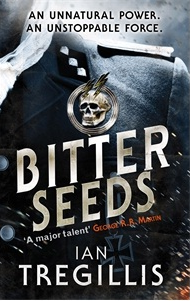 So it falls into a strange space where it mixes alternate history and secret history with fantasy and science fiction elements. The series I’m currently writing (tentatively titled the Clakkers Trilogy) takes place in the 1920s, but leans heavily on alchemy to posit a massive change to history in the 1670s. To read more, please click the link above. I would like to thank Ian for his time and for being utterly kind and lovely to talk to.